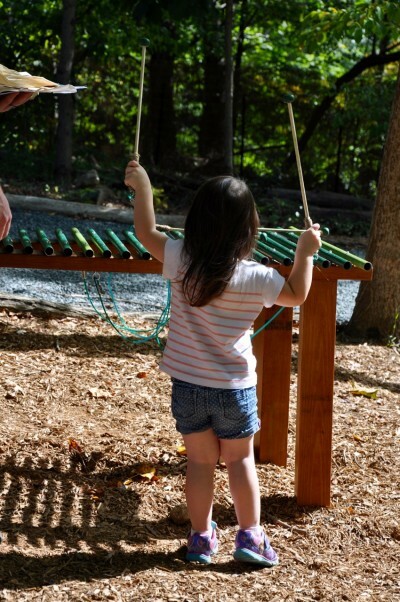 Our outdoor classroom, called Nature Place, was opened to the public in September 2015. Our goal was to create a space that encouraged curiosity about the natural world and invited even those with the most timidity about unstructured experiences in nature to feel comfortable. We incorporated local touches, like the wood carvings created by a local chainsaw carver and the hollow logs brought here after having to be taken down at a nearby historic site. We also took advantage of the many skills and talents of our staff allowing them to share their creativity through the addition of handmade objects for the space. 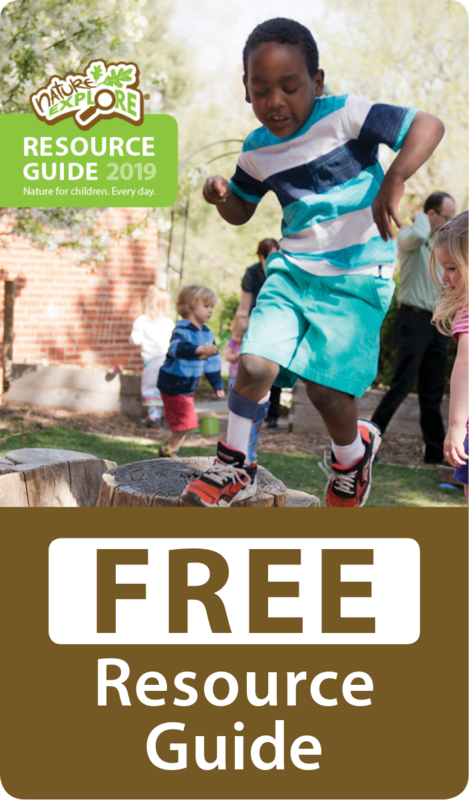 The themes for each activity area are based on the behaviors and habitats of local wildlife and we have maintained and added native plantings of trees, shrubs and perennials throughout the classroom. As a nature center open to the public, we strive to maintain a space that functions without constant oversight, however, we do provide ongoing maintenance and upkeep. What’s unique about our site? 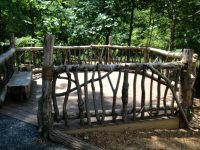 The unique skills and craftsmanship of our staff who collaborated on the creation of this outdoor classroom bring individualization to the space. The wood carvings, the hand poured and painted concrete “tree stump,” and the hand-painted signs with novel cartoon images make this space extra special. One of the most beloved spaces is the repurposed drainage pipe that has been buried into the hillside allowing children to slide down through the hill. And children are not the only ones who enjoy this experience. Our County Executive joyfully slid through the tunnel upon opening the space to the public. And the day before opening, small paw prints were spotted inside the tunnel! Another favorite addition to the space has been the Hugglepods. These cocoon-like hanging seats are colorful and eye-catching. They also provide little hideaway spaces, as children can climb completely inside and just hang out. Our outdoor classroom has been very popular with our public, providing just enough guidance and invitation to outdoor exploration. Prior to the installation of Nature Place, our property only had two outdoor patios, neither interesting nor appropriate for playful behavior, and our wooded trails for active outdoor amenities. Our most popular space was probably our indoor Discovery Room. Now, able to be seen from inside through the Discovery Room’s windows, Nature Place has moved what is loved about the Discovery Room to the outdoors. We are grateful to Howard County Recreation and Parks Capital Planning Division, especially the construction crew who put significant time, effort and personal talent into the development of Nature Place. We are also grateful to the James & Anne Robinson Foundation for generous financial support that helped make this outdoor classroom so special.